Enforce the rules long enough, and eventually the rules become a part of you. Mary Norris, who spent three decades fine-tuning the text of some of our nation’s most celebrated journalists and authors at the copyediting desk for The New Yorker, came to internalize the magazine’s exacting standards of editorial style in a way word nerds will absolutely love. Her new book, Between You & Me: Confessions of a Comma Queen — part memoir, part usage guide — is both poignant and funny in unexpected ways. The Elements of Style this isn’t (there’s a hilarious chapter on spelling of cursewords, called “F*ck This Sh*t”), although Norris admits she does love a good grammar book. She calls herself “an obsessive collector” and adds, “Once I realized that I could write off books on my income taxes, I knew no limits. I go straight to the writing/reference section in bookstores and buy everything that appeals to me.” That’s certainly one way to realize you’re head-over-heels for textual correctness. How else might you know you’re a full-on grammar geek? Norris got together with our Musing editor (and resident comma queen… or at least punctuation princess), Mary Laura Philpott, and the two of them came up with a list. Do you have any of these 10 signs? 1. You sometimes can’t enjoy reading because you can’t stop proofreading. 2. Hashtags make you crazy. 3. You are not comfortable without a pencil in your hand (or behind your ear). “I always grab a pencil before walking a proof down the hall, in case I see something I missed,” Norris says. “And there may not be a pencil available that is up to my standards.” No dull pencils, people. 4. A person can win you over with proper use of the subjunctive mood. If only it were the case that everyone understood. 5. You cannot throw away a dictionary. 6. The Oxford comma seems like a perfectly good reason to get riled up. 7. In the cafeteria, you cannot see a sign that says “Apples Must Wash Before Eating” without wanting to punctuate it. “What, are the apples supposed to wash before sitting down to a meal?” Norris asks. “At least give it a dash: ‘Apples—Wash Before Eating.’ Or make one sign for all the fruits: ‘Handheld Fruit Should Be Washed Before Being Eaten. '” Now we can’t stop imagining little apples taking a bath. 8.You alienate your sister-in-law by telling her there’s no “u” in “flamboyant” after she’s printed 200 copies of her concert program. 9. You once responded “Thx!” instead of “Thanks!” to a text. And it haunted you for days. 10. 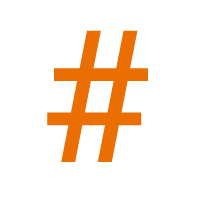 You use a comma after “Hi” in email salutations, because, hey, it’s direct address. “If it takes more energy to leave it out than it does to put it in, then put it in, even if it makes you a figure of fun.” Well, then. Hi, Mary Norris! 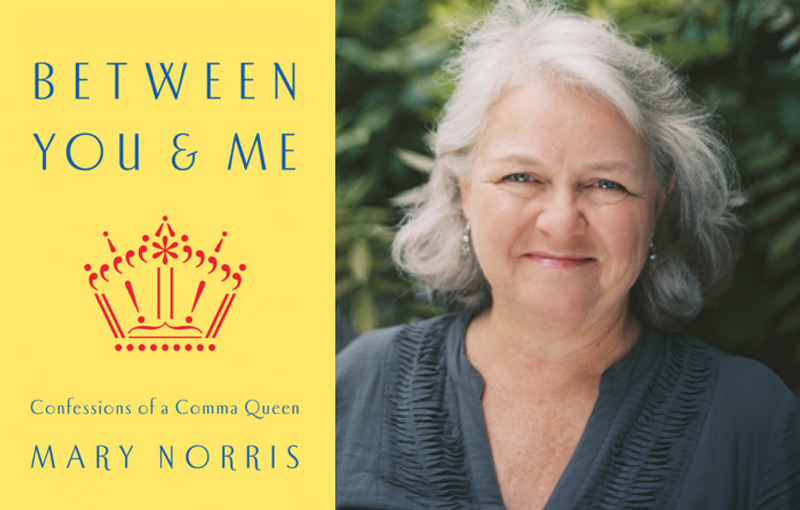 Bring your fellow English majors, irrepressible proofreaders, teachers, memoir-lovers, and readers of all sorts (<– note comma usage) to Parnassus Books this Sunday, September 20, at 2 p.m., when the very charming Mary Norris will read and sign Between You & Me.